Where applicable, range of movement is measured using a goniometer, an instrument that measures the joint angle. Rest palm of the hand and forearm a flat surface with palm side down and fingers out straight. Can the 5th finger be bent/lifted upwards at the knuckle to go back beyond 90 degrees? If yes, add one point for each hand. With the arm out straight, the palm facing down, and the wrist then fully bent downward, can the thumb be pushed back to touch the forearm? If yes, add one point for each thumb. 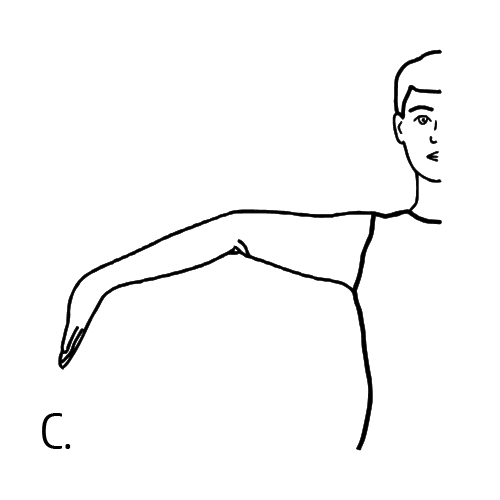 With arms outstretched and palms facing upwards, does the elbow extend (bend too far) upwards more than an extra 10 degrees beyond a normal outstretched position? If yes, add one point for each side. While standing, with knees locked (bent backwards as far as possible), does the lower part of either leg extend more than 10 degrees forward? If yes, add one point for each side? Can you bend forward and place the palms of your hands flat on the floor in front of your feet without bending your knees? If yes, add one point. 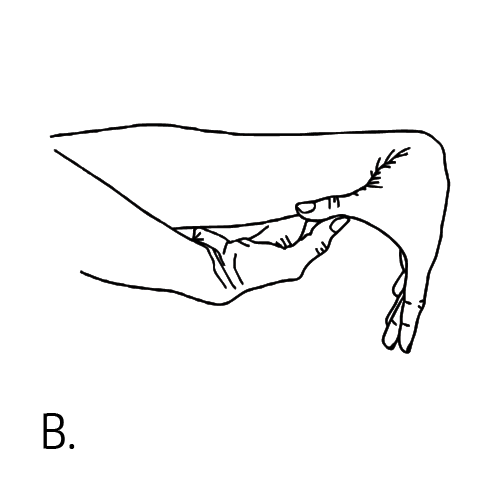 (A) With the palm of the hand and forearm resting on a flat surface with the elbow flexed at 90°, if the metacarpal-phalangeal joint of the fifth finger can be hyperextended more than 90° with respect to the dorsum of the hand, it is considered positive, scoring 1 point. 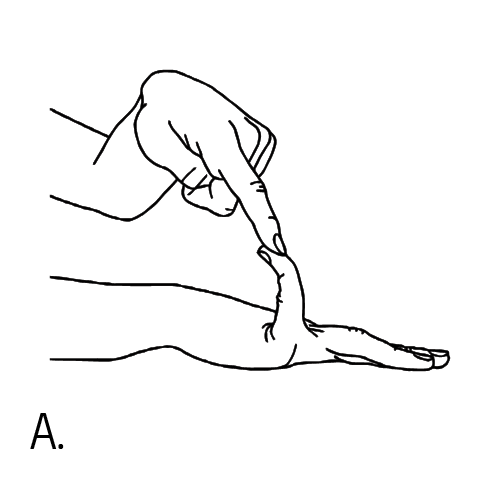 (B) With arms outstretched forward but hand pronated, if the thumb can be passively moved to touch the ipsilateral forearm it is considered positive scoring 1 point. (C) With the arms outstretched to the side and hand supine, if the elbow extends more than 10°, it is considered positive scoring 1 point. 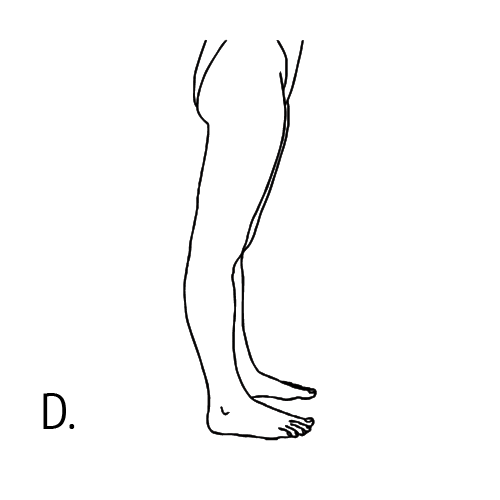 (D) While standing, with knees locked in genu recurvatum, if the knee extends more than 10°, it is considered positive scoring 1 point. (E) With knees locked straight and feet together, if the patient can bend forward to place the total palm of both hands flat on the floor just in front of the feet, it is considered positive scoring 1 point.